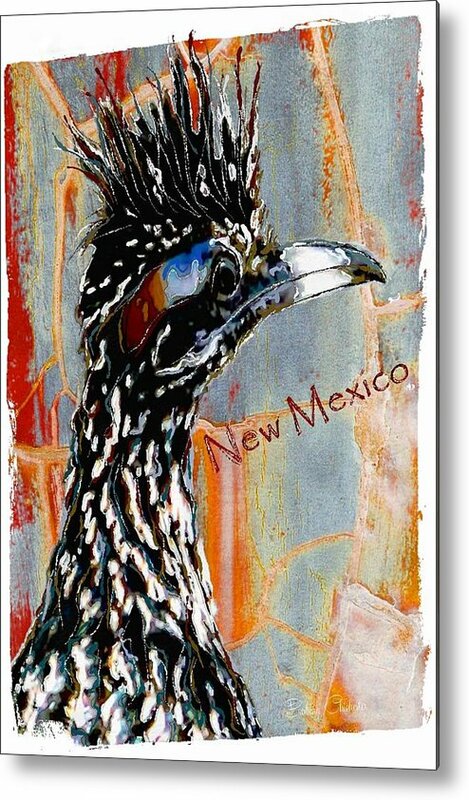 New Mexico Roadrunner by Barbara Chichester - 6.625" x 10.000"
New Mexico Roadrunner metal print by Barbara Chichester. Bring your artwork to life with the stylish lines and added depth of a metal print. Your image gets printed directly onto a sheet of 1/16" thick aluminum. The aluminum sheet is offset from the wall by a 3/4" thick wooden frame which is attached to the back. The high gloss of the aluminum sheet complements the rich colors of any image to produce stunning results. 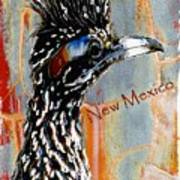 Thank you for the recent Features of NEW MEXICO ROADRUNNER in Out of the Ordinary, Bath and Spa Prints and Art's Fantastic World! 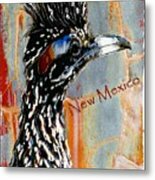 Thank you for the multiple features of NEW MEXICO ROADRUNNER in Wild Birds of the World, New Mexico Land of Enchantment, Lady Photographers and Artists, Bath and Spa Prints, Wildlife & Arts Fantastic World! I appreciate all the comments about my art here, thank you! Thank you for the many Features of NEW MEXICO ROADRUNNER from my series of Roadrunner art. 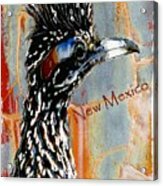 Featured in Images That Exicte, New Mexico Land of Enchantment, Wild Birds of the World, FAA Portraits-Birds, thank you! Very beautiful. I always admire seeing such beauty in nature.